What versions of Crystal Reports are supported by Sage ERP MAS 90 or 200? What versions of Crystal Reports are supported? Note: MAS versions below 3.71 are no longer supported by Sage. 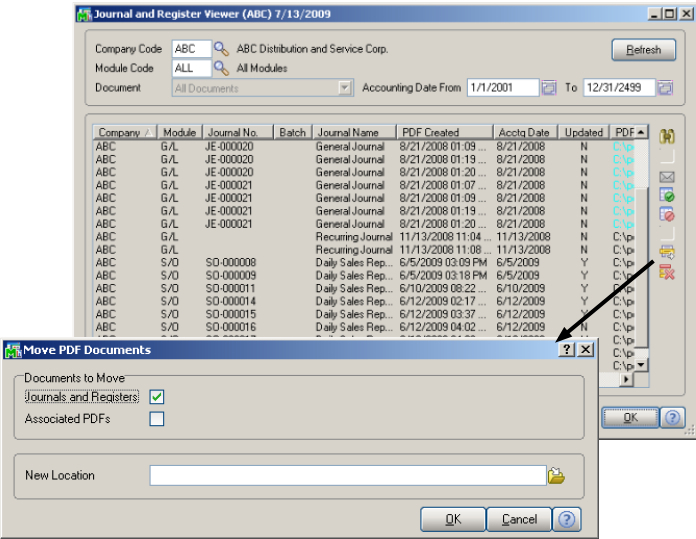 Use of an incorrection version will render forms and reports that are used by the Sage ERP MAS 90 or 200 program (ie – Check Printing, Invoices, Custom Reports, Canned Reports) unusable though the report may appear to function properly outside of the MAS system when run straight through Crystal. 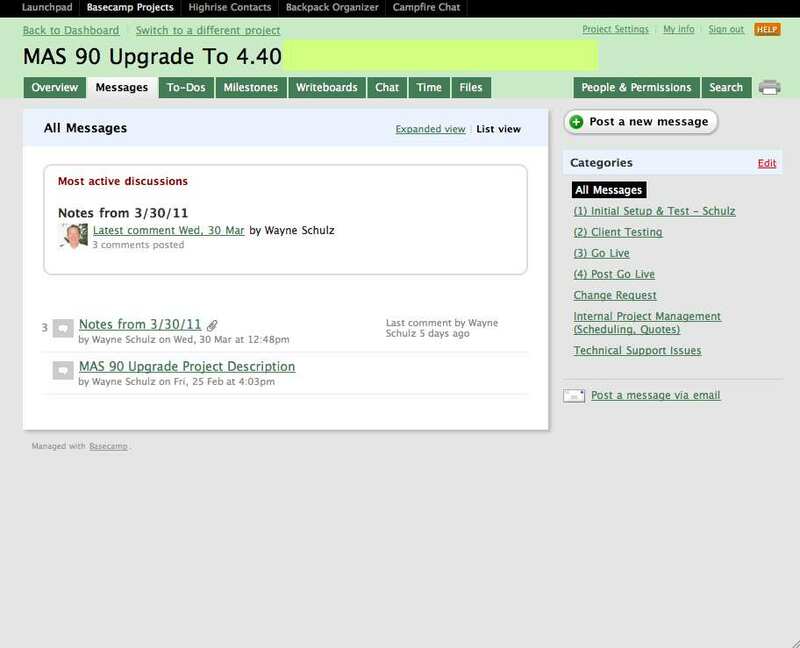 There is no way we’ve yet seen to reverse changes made in a higher version of Crystal and save the form to a lower version. Be sure you work with the proper version of Crystal Reports. 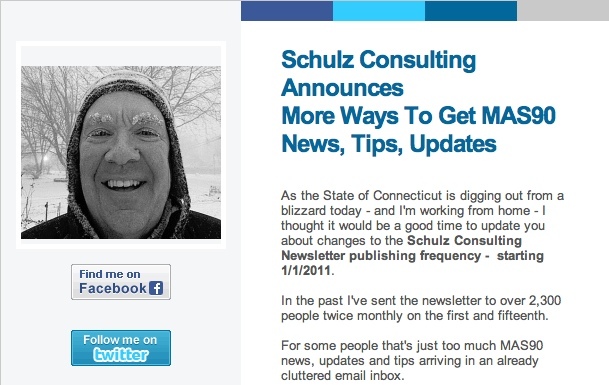 Starting with the January 15, 2010 issue of the Schulz Consulting Email newsletter we will switch from publishing twice monthly to publishing an email newsletter just once a month on the 15th. We are expanding the ways that you can stay up-to-date with news from Schulz Consulting and continue to post regularly to the following locations which will carry the same news as what you are reading on our web site. 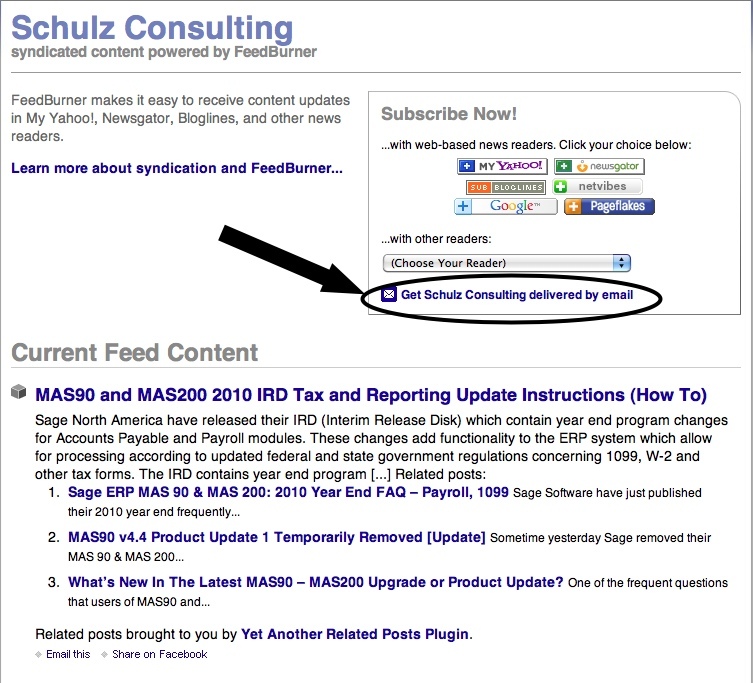 You can continue to visit Schulz Consulting for the latest news and analysis about MAS 90 and MAS 200. Or if you prefer to continue receiving alerts as we post news to our website – we suggest you visit Google’s Feedburner and sign up for free email alerts. Using this service you’ll receive a notification via email every time we post a news item on our web page. Google will also allow you to subscribe to our feed in your favorite RSS reader (If you’re not sure what RSS is – here’s a link from Wikipedia which explains it). 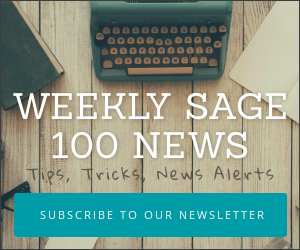 Since Sage have moved to using Product Updates for quarterly updates and fixes they’ve also doubled down on adding new features into the product. Product Update 3 — aka PU3 — adds an ability to post Bank Reconciliation transactions from Bank Reconciliation module into the General Ledger. Amazingly up until no the Bank Reconciliation would not support posting of adjustments entered into that module back into the General Ledger. That’s all changed and my friend Robert Wood at DDF Consulting in sunny Florida has all the details on how it works. Post GL Bank Fees and Adjustments From Bank Rec in Sage MAS 90 / MAS 200 | DDF Consulting. If you’re moving the location of your existing Sage MAS90 or MAS200 accounting system – don’t forget that you will also need to move any related paperless office PDF files. And dragging and dropping those files won’t work. You have to make sure that MAS 90 or MAS 200 both knows the new location (updated in paperless maintenance) and that each paperless office document record is updated with new location data. Luckily Sage provides a way to do this via the viewer menu (other methods seem to be hit or miss and the viewer move is what’s always worked best for me). 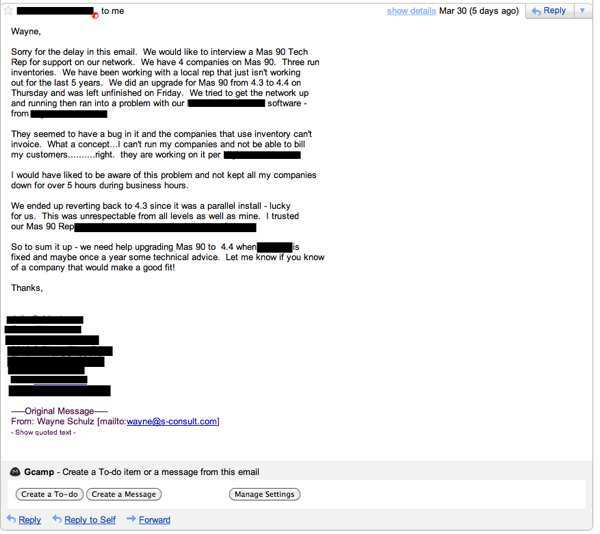 Here’s a document that one of my 90 Minds group members uncovered and it’s the procedure that I’ve had the most luck with on version 4.3+ of MAS90.